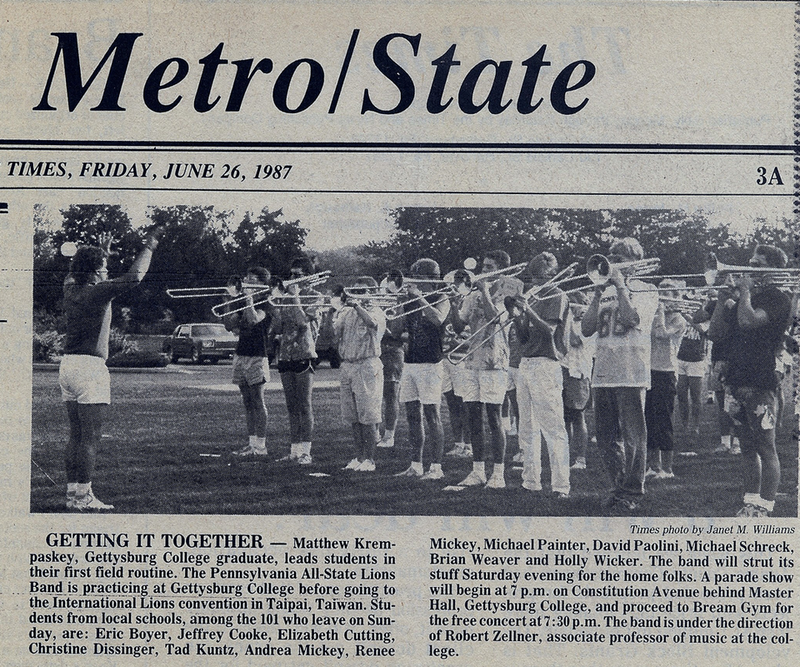 The Lions Band prepares for a trip to Taipei, Taiwan in 1987. The Pennsylvania Lions All-State Band was founded in 1982 to give high school musicians an opportunity to accompany Pennsylvania Lions members to various Lions Club International activities throughout the year. Since its foundation, over 3000 high school students have participated in ­­­­­Lions Club events down the road and across the world. Lions Robert Zellner and George Yerick founded and directed the band at its establishment. Other directors of the band have included Dr. O. Richard Bundy Jr., Dr. Ned C. Deihl, Stanley F. Michalksi, Jr., and Gary McKeever. Upon Mr. Zellner’s retirement in 2012, Dr. Russell McCutcheon – Director of Bands at the Sunderman Conservatory at Gettysburg College – assumed the duties as Lions Band Music Director. Each year, the Lions Band staff (which consists of current and former music educators and professional musicians) comes together to provide students with a one-of-a-kind experience. Musically, high school students are exposed to collegiate level instruction and literature. Socially, life-long friendships are forged during this unique journey. The mixture of challenging rehearsal and travel creates a memorable experience for all students. The Band travels to a selected Pennsylvania city each May to play during the Lions State Convention. Students meet for this weekend to give several performances during the conference. When the Lions Club International Convention is located in North America, the Lions of Pennsylvania sponsor a ten-day performance tour for the band. Tours usually begin during late June or early July and include a three day mini-camp at Gettysburg College. 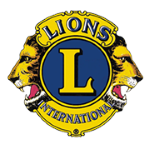 The Pennsylvania All-State Lions Band is organized and sponsored by the Lions Clubs of Pennsylvania.